As promised, Nendoroid Fujiwara no Mokou from the popular game series Touhou Project is finally available for pre-order. From the popular Touhou Project game, ‘Imperishable Night’ comes a Nendoroid of the extra level boss – the immortal Fujiwara no Mokou, also known as Moko-tan! She comes with three different expressions including her standard smiling face, a sulking face as well as a glaring face. She also includes parts allowing you to pose her with her hands in her pockets, some flame parts, a phoenix to recreate the spell card ‘Immortal: Phoenix -Wing’s Rise-‘ and even some grilled chicken to fit with her image. She is priced at 3500 Yen and scheduled for May 2013 release. Are you getting her, Nendonesian? 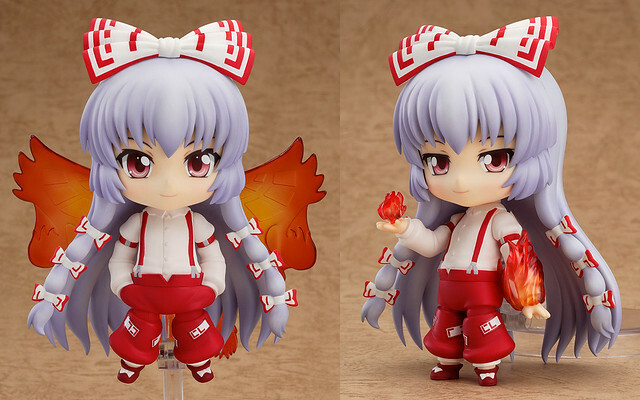 This entry was posted in News and tagged fujiwara no mokou, nendoroid, touhou project.